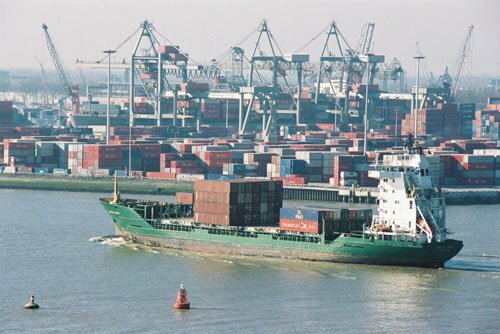 The Port of Rotterdam is preparing for a digital transformation with IBM’s cloud-based IoT technologies – starting with the formulation of a centralised dashboard application that collects and processes real-time water, weather sensor data and communications data. Previously, Europe’s largest port by cargo tonnage banked on conventional communication techniques such as radar and radio to establish communication between captains, pilots and terminal operators to make vital decisions on port operations. With the IBM alliance, IoT sensors in addition to augmented intelligence (AI) and smart weather data will be used to collect numerous data streams including weather, water levels, currents, temperature and check berth availability. These data will be analysed by IBM’s cloud-based IoT technologies and turned into information. The port authorities can use this information to make decisions that can reduce wait times, manage traffic more efficiently, decide best time for ship docking, load and unload among other advantages. The tech-giant is also deploying “Digital Dolphins” – smart quay walls and sensor-equipped buoys – to support ship-to-ship cargo transfer and provide insights into the condition and utilisation of a berthing terminal and the neighbouring water and weather conditions. Under the transformation process, the port will be able to host connected ships in the future and IBM aims to host these ships at the port by 2025. Like the self-driving cars, connected ships are also capable of operating autonomously and can communicate with one other to avoid collision. mart living in Dubai has officially begun with the launch of the emirate’s flagship Internet of Things Strategy and Data Wealth initiative, Sheikh Mohammed bin Rashid said on Sunday. The Vice President and Ruler of Dubai launched the initiative, which aims to protect the emirate’s digital wealth, at the Smart Dubai headquarters in Dubai Design District. 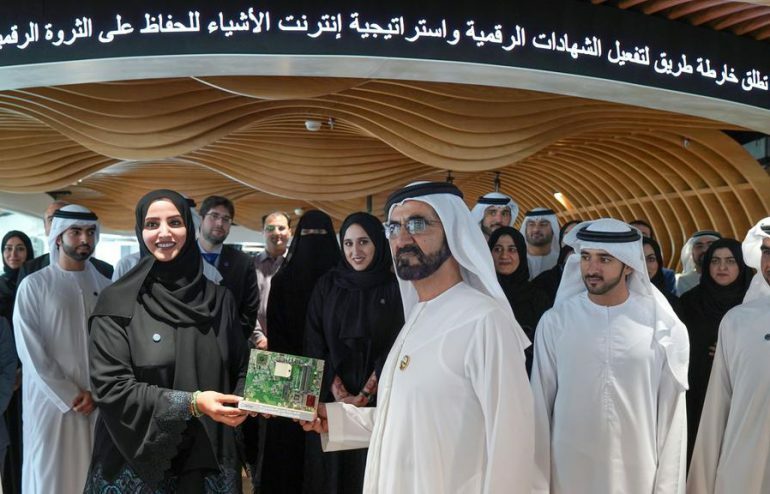 “Dubai’s push to build the ­future today has helped establish a digital infrastructure that is now a strategic national asset in the wake of the Fourth Industrial Revolution,” Sheikh Mohammed bin Rashid said. The initiative will also award Dubai Digital Certificates for outstanding government and private entities. Dubai Digital Certificates are the benchmark against which all smart services in the emirate will be evaluated to preserve Data Wealth, Sheikh Mohammed said as he accepted the first certificate presented by Dr Aisha bint Butti bin Bishr, Director-General of the Smart Dubai Office. Dr bin Bishr said the initiative sets the foundation for Dubai’s smart living transformation. “When we launched Smart Dubai three years ago, we sought to enable people to make use of the vast amounts of data generated every day in one of the busiest cities in the world. Today, as we launch the Dubai IoT Strategy, we provide the people of Dubai with an unmatched smart lifestyle,” she said. Data Wealth consists of data, data-storing and processing technologies, paperless transaction policies and systems like Blockchain, digital signature and ID, smart living and clean energy, among other elements, reported state news agency Wam. The Dubai IoT Strategy will be implemented in four stages over three years and aims to build the world’s most ­advanced IoT ecosystem that would mean the interconnectivity of all things online. The strategy also aims to encourage government departments to join the emirate’s smart transformation and achieve the objectives of the Smart Dubai Plan 2021 to transform to a 100 per cent paperless government. The Dubai Crowd initiative was also launched on Sunday. It is the first technical project in the IoT Strategy, which seeks to manage and organise crowds in the emirate during peak seasons to ensure safety and security. Dubai Crowd analyses real-time data and suggests plausible scenarios for decision makers. Sheikh Hamdan bin Mohammed, Crown Prince of Dubai and Chairman of Dubai Executive Council, and Sheikh Maktoum bin Mohammed, Deputy Ruler of Dubai also attended the launch. IoT in Lebanon has the potential to cause a paradigm shift in several industries, including agriculture, healthcare, urban planning, and more. rules and notifications, ensures SLA compliance across organizations and manages pushing software updates remotely across all devices. 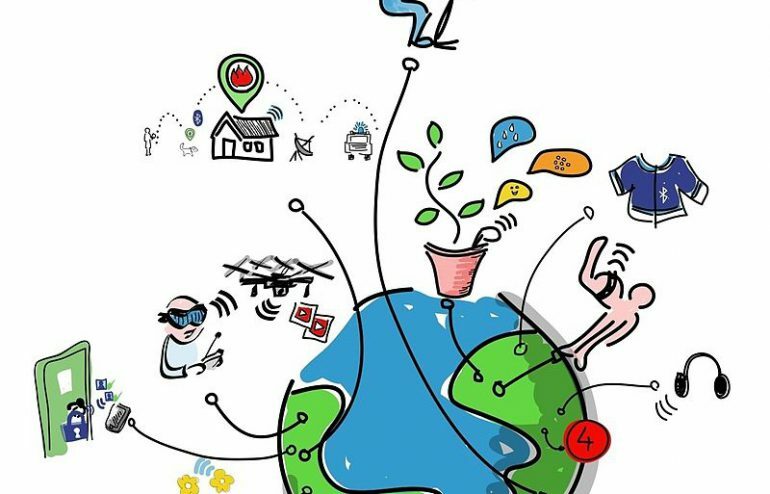 The Internet of things (IoT) is the network of physical devices, vehicles, home appliances, and other items embedded with electronics, software, sensors, actuators, and network connectivity which enable these objects to connect and exchange data. Each thing is uniquely identifiable through its embedded computing system but is able to inter-operate within the existing Internet infrastructure. Experts estimate that the IoT will consist of about 30 billion objects by 2020. The IoT allows objects to be sensed or controlled remotely across existing network infrastructure, creating opportunities for more direct integration of the physical world into computer-based systems, and resulting in improved efficiency, accuracy and economic benefit in addition to reduced human intervention. When IoT is augmented with sensors and actuators, the technology becomes an instance of the more general class of cyber-physical systems, which also encompasses technologies such as smart grids, virtual power plants, smart homes, intelligent transportation and smart cities. “Things”, in the IoT sense, can refer to a wide variety of devices such as heart monitoring implants, biochip transponders on farm animals, cameras streaming live feeds of wild animals in coastal waters, automobiles with built-in sensors, DNA analysis devices for environmental/food/pathogen monitoring, or field operation devices that assist firefighters in search and rescue operations.Legal scholars suggest regarding “things” as an “inextricable mixture of hardware, software, data and service”. These devices collect useful data with the help of various existing technologies and then autonomously flow the data between other devices. We’re an innovative technology, digital marketing, creative and advertising company that strives to help its clients gain impressive results from their online platforms and applications. Our approach is simple, our ideas simple, but our reach is global. BConnected provides you with a complete solution. Be it in hardware for running your content on various platforms, tractable software to make the whole experience better, content creation to tackle all the thinking work for you and a complete setting up of a placed based network to communicate digitally in a creative way and last but not least is that you can always mix and match any of our services according to your budget fit and needs. Our Team’s experience at Multinational Agencies, Production Houses and at Client Side puts us ahead of the Game on Many Fronts. We are not any other Tech agency that develops Systems, Apps and Websites and Comes up with Digital Campaigns. We at BConnected challenge your Business Model first and provide you the utmost solution that cater your needs. Adaptability and constant curiosity will be the hallmarks of successful communicators and marketers in 2018. So how do we make sure we’re creating the appropriate strategies? For a start, customer demand for best in class experience and personal appreciation will only come to the fore in the context of increasingly fierce competition. 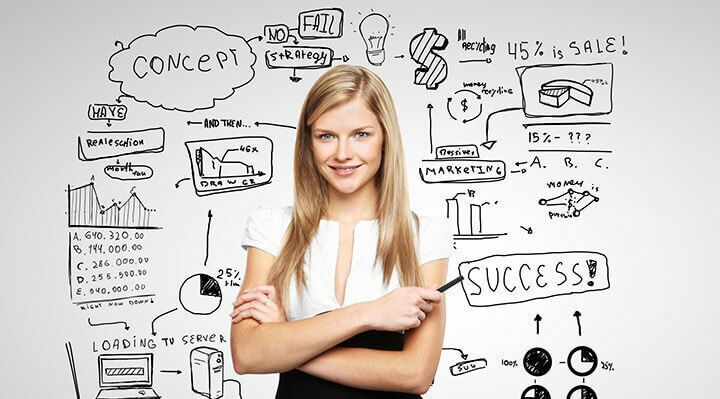 Marketers will need data (lots of it), automated processes, and analytical intelligence. High time-to-market pressures will only get more intense as digitalization lowers market entry barriers, enables new business models, and shifts the value chain. Companies will be under growing pressure to deliver profitability by meeting the increasing demands of customers who are mobile, always on, linked, social, prepared to switch, and accustomed to a best in class user experience. So, they’ll be expecting you to achieve results fast in a high-speed, complex digital environment– and that’s a challenge every marketer will face sooner than later. The successful digital marketer in 2018 must be ready to experiment, pivot, break the rules, even step so far out of their organization’s comfort zone that they stand alone. Social and video marketing, analytics, native ads, programmatic, instore mobile offers, content marketing, and other digital techniques are changing the ways we reach our customers, and we can only do this if we are fearless in the face of this new world. Based on my own experience in MENA markets, I believe there are six key trends the region’s communicators and marketers need to wrap their heads around now in order to succeed in 2018. Consumer-centric content is not new, but it needs to get a lot more personal. Smart Insights tells us that 61% of customers place more trust in, and are more likely to make repeat purchases from, companies that deliver personalized content. Recode reports that mobile video ad spend will grow 49% to roughly US$18 billion in 2018, while non-mobile video ad spend is expected to fall 1.5% to $15 billion. > 70% “on-the-go” Short and snappy content that consumers will view and like immediately, but not be too invested in. > 20% “lean forward” Interactive content that catches the attention of consumers looking for something to watch. > 10% “lean back” Immersive content that goes into more detail for consumers willing to watch something for a sustained period of time. The Facebook ecosystem will dominate the social media -and social commerce- landscape for the foreseeable future. In June 2017, Facebook had over 2.01 billion monthly active users worldwide, up 17% over June 2016- and more than half were mobile. This is hugely significantmobile advertising revenue represented around 87% of all Facebook’s advertising revenue in Q2 2017. The company is even more dominant as a driver of traffic to news websites- a direction that cannot be ignored given the ongoing debates about fake news. Traffic from Facebook can make or break news publishers’ social media success, accounting for over 85% of the traffic from social networks. Twitter’s contribution as a primary driver is surprisingly low, given the platform’s emphasis on news, and all other social media channels combined play a marginal role at best. Between them, Facebook and Twitter account for 98% of social media-generated traffic to news websites. The voice interface has really come into its own this year, with voice search traffic now exceeding 10% of all search traffic, according to Mind Source. Virtual assistants respond to 50 billion voice searches every month, and Amazon Echo is currently the fastest-selling Bluetooth technology of all time. By 2020, over 200 billion searches will be voice-driven. The technology is only just beginning to impact the Middle East market, but the rapid growth of social marketing and commerce here will soon change that. For some really interesting uses of Amazon Echo in marketing communication, look no further than Just Eat. When Alexa first appeared, users were limited to ordering a Domino’s pizza, and that was about it. But through a partnership with Just Eat, more than 27,000 food sellers are right in their living rooms- just tell Alexa what you want, and she does the legwork, finding the outlets with the best customer feedback, and placing your order. With an estimated two billion users receiving messages through over-the-top (OTT) apps by 2018, social messaging is likely to be embedded in every online interaction. Couple that with the prediction that 75% of developer teams will include AI and other self-learning functionality in at least one app or service, and it’s no wonder chatbots top many companies’ wishlists. 62% of millennials are more loyal to brands that engage with them via messaging applications that deliver that personal touch, transparency, and collaboration of one-onone communication. Facebook’s making those people’s lives even easier by enabling them to click on ads that will take them directly into a chat with the brand. It’s a fast, personalized response that ensures a better experience every time. The average mobile user owns six devices, uses them three times a day, and opens their phone 200 times a day to read emails, go shopping online, or check social media feeds. In doing so, they are bombarded with push marketing that is, quite frankly, ignored. This is exactly where the strength of “micro-moments” comes in– that snapshot in time when a user turns to a device to answer a question, or decide where to go, what to do, or what to buy. 96% of users reach for their smartphones to conduct research on the spot. The most successful brands will be those that have the ability to anticipate and address those impulses with micro-moments that deliver the right information at the right time to that user. For this kind of just-in-time communication to work, marketers must study the insights and micro-moments of their target audience, and then experiment with them by providing targeted advertising based on user information, like the search terms they’re using or their recent browsing activities. Armed with that data, marketers can deliver an interactive experience that offers truly personalized value- deals, discounts, insight, experiences, and more. Micro-moments are set to be the 2018 sweet spot for mobile-first websites. For many, mobile devices are becoming extensions of their bodies. Wherever they go, their devices go. Users trigger on average 75 separate mobile sessions every day, so they’re engaging with the devices throughout their day across multiple locations. Marketers can collect information about and target their customers as they enter, leave or stay in specific areas, known as geofences, which prompt mobile notifications when a customer is active in those areas. During those key moments, marketers have the opportunity to engage with users by sending contextually relevant promotional messages. Bear in mind, however, that customers have to “allow” your app to track their location, so you’ll need to highlight how location sharing will improve their experience. The future of digital marketing is approaching at blinding speed. This is no time to rely on what’s worked in the past– you need to engage with the future today. It’s easy to foresee the rewards of leveraging the Internet of Things (IoT) for any industry. However, getting a pertinent IoT platform or solution that helps you reach your business goals is far from easy. How will an IoT solution improve the business or existing processes? What is the ROI that the platform may provide? What are the architectural requirements based on which I can pick the IoT solution? 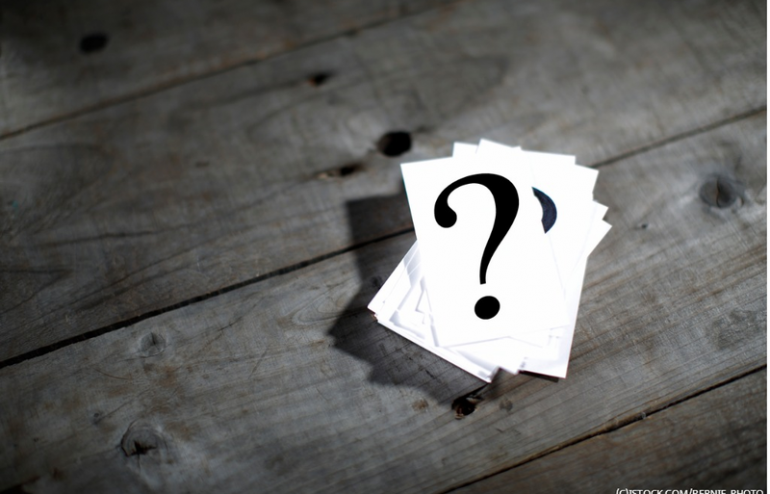 Will the insights gained from IoT implementation help my business in making better decisions? Will it save enough time and resources that can be utilised to expand my business further? After analysing the abovementioned questions, you probably will still feel the need to get your enterprise IoT-enabled. IoT can bring real value to any business by contributing in cost reduction, better customer experience, increased revenue, and by creating new revenue streams. To reap these benefits, you need to either build an IoT platform or buy one from an IoT platform provider. If you decide to build an IoT platform on your own, you’ll have complete control over the solution, you can customise it to make it a good fit for your industry and business. Everything from the data collection to the end-user experience is yours to modify, merge, and maintain. Building an IoT platform is a great option for companies that have all the required expertise in-house or for businesses who do not find a suitable IoT solution from the existing ones in the market. While building an IoT platform from scratch may require proficiency in all the aspects of IoT ecosystem, it provides a perfect solution without compromising any feasible functionality. Allows businesses to develop a customised solution that provides a smooth interface to connect devices and run IoT applications. Companies can leverage in-house expertise or hire a team of experts to develop the IoT platform. A truly tailored IoT solution can be developed that is packed with all the necessary features that can benefit the business. Organisations can offer improved and refined end-user experiences by delivering an IoT solution that directly reflects their brand. No need to rely on IoT platform providers to update or maintain the developed solution. A great option for businesses that do not find a suitable IoT solution in the market that can address their exact requirements. Building an IoT platform from scratch can increase the time to market, thus affecting the trust of your target market. If you don’t have any experience with IoT, the steep learning curve will increase the risk of failure. Hiring a dedicated team for building the IoT platform would be more complex and costly as compared to buying the solution. It takes a lot of research, design, architecture, and development to build the solution. Once the IoT platform is built, it also demands maintenance after a regular interval. If the solution is complex, it needs hardware, software, cloud, applications, security, and big data analytics to not only work together but also work efficiently. While building an IoT platform on your own terms may seem alluring, most of the businesses underestimate the risks and challenges that are associated with the do it yourself model. In such cases, it’s always better to rely on IoT platform providers that have experience and expertise to develop an IoT solution for your enterprise. There are plenty of IoT platform providers available in market to choose from. The challenge here is to find the right platform that fulfils all of your solution requirements. An experienced IoT platform provider will make sure that you have everything that you need from the very beginning, which is far better than building it yourself to realise later that your solution is still half-finished. This is the safest option for companies that don’t have any hands-on experience with IoT. Buying an IoT platform will significantly reduce the time to market and provide you a working solution in lesser time. A great fit for organisations that want to increase the value gained from an IoT solution and minimise the risks. With a ready-to-use IoT platform, businesses can focus more on their core functionalities instead of struggling to build the platform. The cost of buying is lower as compared to the cost of building the platform. Businesses can also get a customised solution from IoT platform providers. Businesses may be delivered with device clouds instead of an IoT platform. A device cloud will allow companies to manage connected things but will fail to provide an application enablement platform. Companies may fail to identify functional requirements and end up buying a platform that does not foster their business needs. Companies will have to rely on platform providers to maintain, update, and enhance their platform over time. The benefits of the Internet of Things are hard to ignore for any industry. 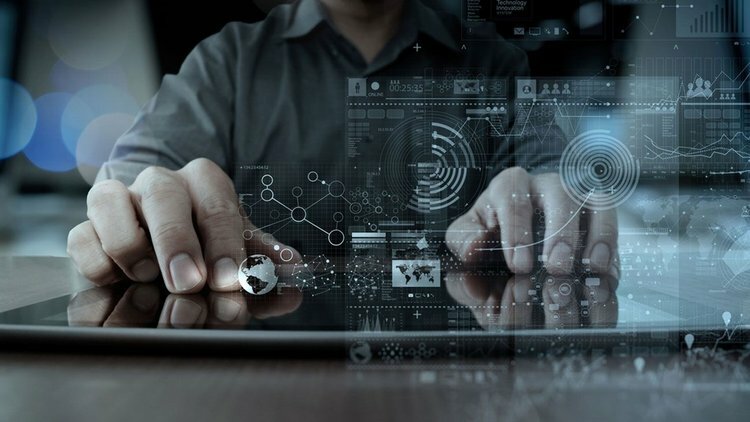 Whether your enterprise chooses to build an IoT platform or buy one, you need to ensure that it addresses the functional requirements of your business.